Nokia might have sold its soul to Microsoft, but that might not be the end of the road for some of its exciting ventures,one of which is the PureView range. Well, Microsoft seems set to breathe new life into the line, this time in partnership with Canon. Microsoft and Canon have signed an agreement for ‘certain digital imaging and mobile consumer products’. The details about the partnership are not yet known, but it seems that Microsoft is getting ready for the big stage. Microsoft is kind of trying to build on what Nokia was doing. 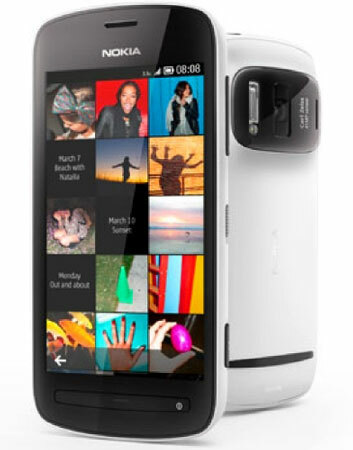 Nokia did amazingly well with camera phones such as the Nokia Lumia 1020 and Nokia PureView 808. It seems that both companies are tying up for a mutual exchange of technology. My estimation is that Microsoft should lend Windows Phone 8.1 OS based technology to Canon for making its cameras better and Canon in exchange should help Microsoft build on Nokia’s strength and continue creating amazing smartphone cameras. This is because the announcement of this deal comes right after the completion of Microsoft’s takeover of Nokia. It will also be set to continue Nokia’s partnership with Carl Zeiss for its specialist lenses. Microsoft/Canon also might bring out a competitor to the Samsung Galaxy Camera, if speculation is to be believed. Not only that, Microsoft has its hands on the Kinect technology, which if it comes to smartphones would make for a very exciting experience. But those are just estimations and speculations. We should get to know soon what the companies are up to. Smartphone camera technology is shaping up pretty well, with the next stage in the process being smartphones taking over DSLRs. Samsung has tried doing so with the Galaxy S5, Sony with the Xperia Z2 and HTC with the One M8.